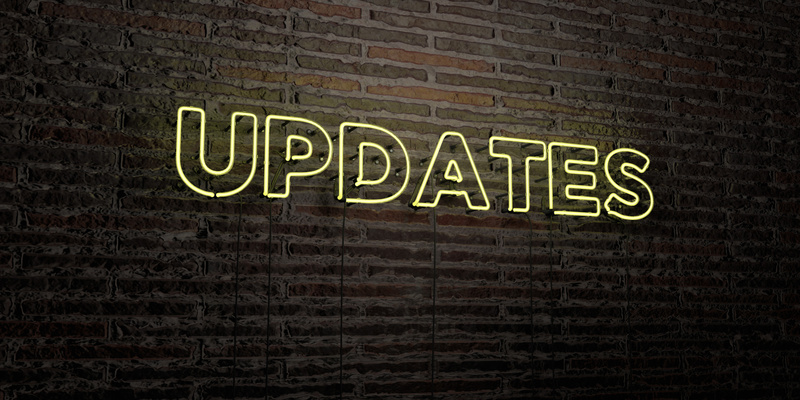 As you’ve likely heard at some point recently, Facebook has been making several rounds of updates to their algorithm – again. Facebook’s algorithm is pretty much changing daily, or so it seems, right?! It’s hard to keep up with the constant changes Facebook makes to its platform and advertising. Many things have changed over the last few months for advertisers. We now know that many data targeting metrics are going away soon, forcing advertisers to come up with new ways to target their audiences. This is due in large part to Facebook’s efforts to be as transparent as possible to its users in order to earn their trust back. We’re here to help you stay on top of the social media advertising game for the rest of 2018. Check out the latest features and trends in advertising on social media. Facebook is giving a select number of companies or advertisers access to Augmented Reality ads, also known as AR. 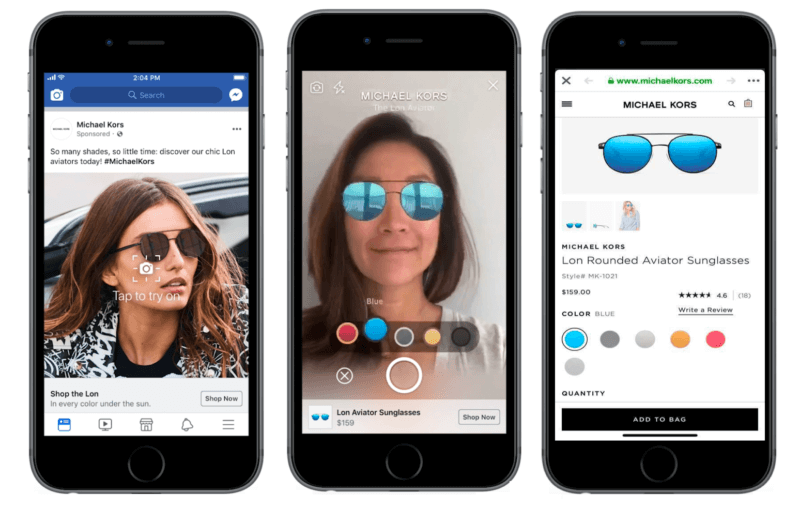 They will run in the News Feed section, which will help brands create mobile video ads using already existing images and video. One brand that’s really been pioneering this is Michael Kors. They allowed users to “try on” and eventually purchase sunglasses. The AR element of the ad uses camera effects so that users can virtually look at different aspects of a product they are interested in and then purchase the product through the ad. Not all advertisers will have access to the AR ads and this feature is currently being tested by select fashion brands for their summer campaigns. Nonetheless, Facebook plans to roll this out to more advertisers over the remainder of 2018. Instagram has expanded their ad offerings using their own Collection ads, allowing e-commerce brands the ability to add the Shopping Bag icon within their stories. The Collection ads include carousels of images, allowing users to look at multiple products to drive more e-commerce purchases. The Shopping Bag icon is available now to a select number of advertisers. It allows brands to add a small icon within individual Instagram stories so that users can click on a specific product in an image. Once clicked, consumers will see specific product info displayed, such as the item’s name and price, and will ultimately link to the brand’s website. The feature is now in testing mode for select brands like Gap and Old Navy, but will be released to all advertisers in August. You may have noticed on a Facebook Business page that you can now see an Info & Ads tab in the sidebar. This means that anyone who goes to that Facebook page can see all ads that the brand is running through Facebook, Instagram, or Messenger. Facebook also plans to add more page information soon. This feature could drive more traffic to your ads, which would increase metrics like clicks and website visits. LinkedIn is now rolling out new Sponsored Content carousel ads that include up to 10 customized carousel cards. They come with standard performance metrics like click-through rates and number of leads, but will also collect click metrics and impressions for each individual card in the ad. This is something Facebook does not currently have! “Your stories become tangible and encourage your audience to engage with your brand on both desktop and mobile,” says a LinkedIn representative. During the beta run of its carousel ads, LinkedIn says that 75% of the test group saw an increase in CTRs compared to regular Sponsored Content campaigns. While we’re sure to see more changes on the horizon for social advertising, this is a good taste of what you can expect for the rest of 2018. Stay tuned for more updates from the iFocus social team, and think of us for your upcoming holiday and end-of-year campaigns!